Noma LED Lit Nativity Scene B/O with Timer in White Wood design, provides a delightful Nativity scene silhouette laser cut and illuminated as a Christmas centrepiece suitable for a mantlepiece, tabletop or bay window. Battery Operation allows ease of placement and no trailing wires, and timer allows the Nativity scene to switch on for 6 hours at night and switch off at bed time. Designed for auto switch on/off ensuring no need to keep handling the ornament to find a switch. 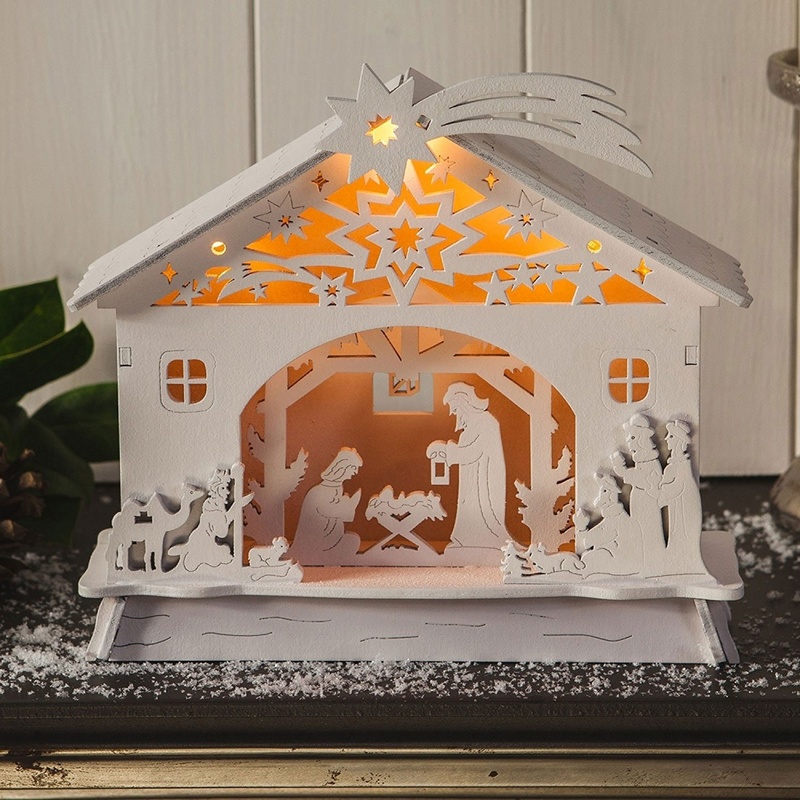 Finely detailed laser cut design brings the Nativity to life, as a modern feature to be enjoyed in the Christmas season.